Recorded back before Continuum 8 in June but still fresh as the proverbial daisy, this episode of The Writer and the Critic sees your hosts, Kirstyn McDermott and Ian Mond, joined by editor and fellow podcaster Jonathan Strahan. The trio try not to ramble too much about a variety of topics, from off-the-cuff commentary and its resultant fallout, to gender and science fiction, to the role of gatekeepers, to some possibly self-indulgent behind the scenes snippets from the world of podcasting. The Encyclopedia of Science Fiction, Galactic Suburbia, Last Short Story and, of course, the Notes from Coode Street podcast are all mentioned. 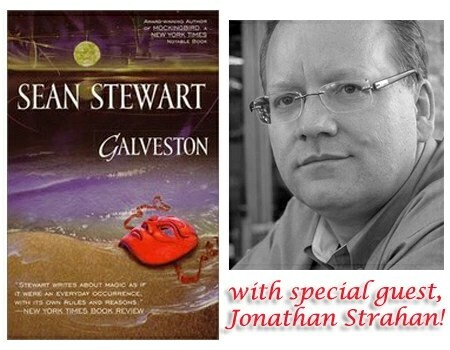 At around the 28:40 point, Kirstyn then manages to herd them onwards to the novel Galveston by Sean Stewart, which Jonathan recommended for all of them to read. Galveston was a joint winner (along with Declare by Tim Powers) in 2001 of the World Fantasy Award, a year in which Jonathan served on the relevant awards jury. That’s how much he loves this book. 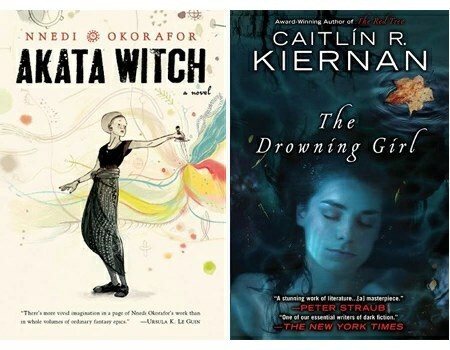 They then move on to the official novels for the podcast, Akata Witch by Nnedi Okorafor (beginning at 54:55) and The Drowning Girl by Caitlín R. Kiernan (around the 1:22:00 mark). Ian confesses to having watched the marvellous trailer for The Drowning Girl around thirty times while reading the book and thinks you should watch it at least once or twice! In a tangential discussion about semi-autobiographical fiction, the title of the pertinent Catherynne M. Valente story that Kirstyn fails to remember is “Thirteen Ways of Looking at Space/Time”. Listeners might also like to check out the recent Notes from Coode Street episode in which Caitlín R. Kiernan is interviewed and talks about The Drowning Girl, as well as previous Writer and Critic episodes in which Who Fears Death by Nnedi Okorafor and The Red Tree by Caitlín R. Kiernan were featured. Don’t forget to tune back in to this episode at 2:13:45 for some very brief closing remarks! Next month will bring another pre-record from June, with very special joined-at-the-brain guests Angela Slatter and Lisa L. Hannett. As with their previous double-barrelled guest podcast with Alison Goodman and Kelly Link, Ian and Kirstyn decline to nominate books of their own to talk about and instead will focus on the two recommendations from their guests: Voice of the Fire by Alan Moore and Galore by Michael Crummey. Read ahead and join in the spoilerific fun!